Hola my amigos!!! Did someone say 'GIVEAWAY' ? Oh yes!! It's *yeeeyy*. I'm back here again with another exciting giveaway and I'm really thankful to Wish Trend company once again for sponsoring such generous giveaway for my readers and followers. The more fun part is there will be TWO winners and each of them will be going to get my MOST favorite skincare product these days i.e., One Bottle of [OST] Original Pure Vitamin C20 Serum of 30ml. You can check my review here. You HAVE to follow my blog via GFC and Bloglovin'. You HAVE to be Sana's Rambling's E-mail Subscriber. Click on Blog Archive and comment on any of my three RECENT posts. You must HAVE an account with Wishtrend. 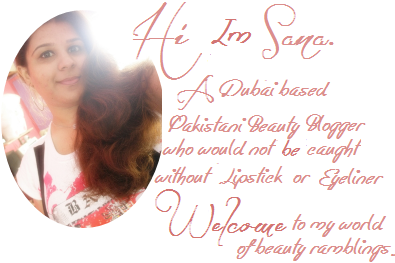 You HAVE to like Sana's Fashion Ramblings and Wishtrend official page on Facebook. You HAVE to share about this giveaway ONCE on your timeline publicly by tagging Sana's Fashion Ramblings and Wishtrend pages. 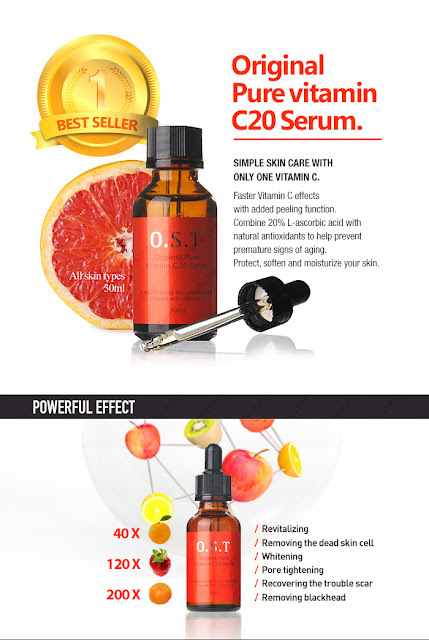 15 comments on "Win [OST] Original Pure Vitamin C20 Serum by WishTrend [International Giveaway, 2 Winners]"
I haven't heard of this vitamin c serum - thanks for telling me about it!